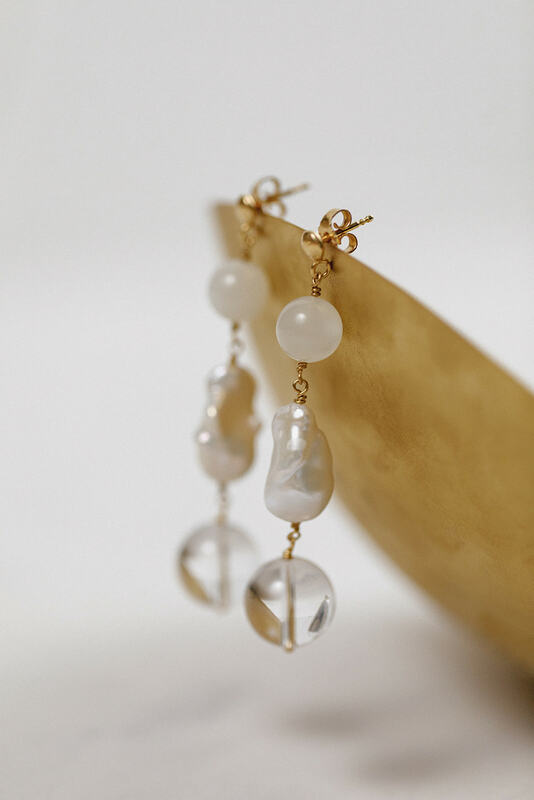 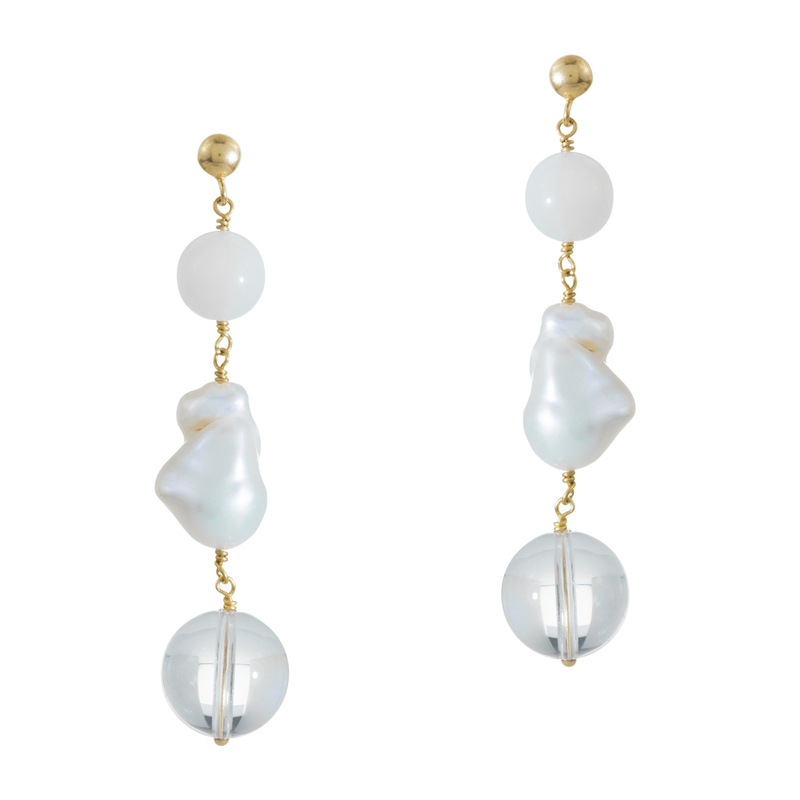 These long earrings form a dramatic triad featuring a round white moonstone, a Baroque freshwater pearl and a clear round quartz. 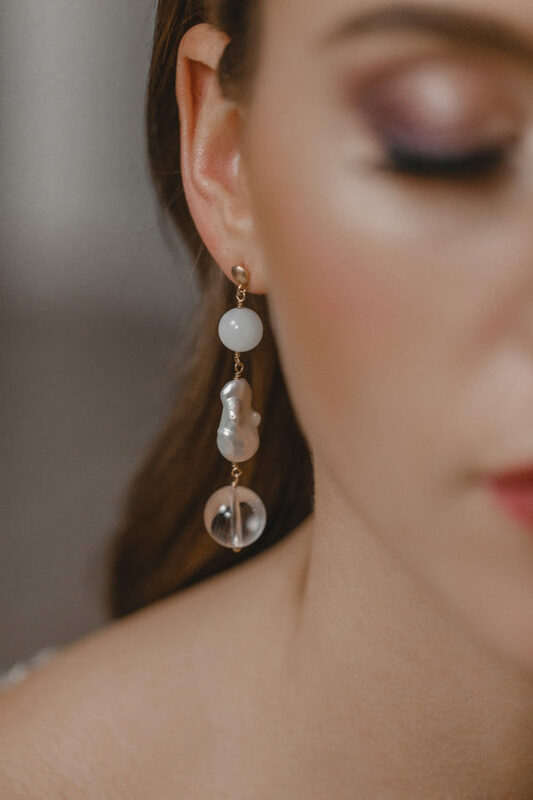 They are a perfect choice for unconventional brides who are looking for a fresh breeze and something unpredictable in their bridal jewellery. 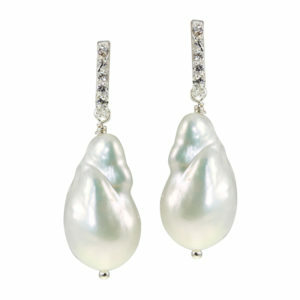 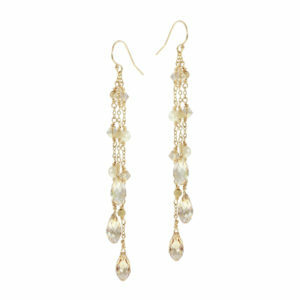 With their innovative look, these statement earrings deliberately step away from traditional bridal designs. 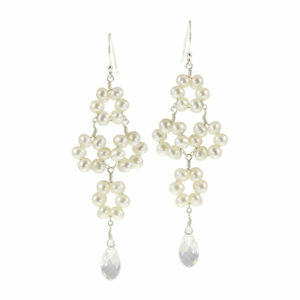 This piece was created for a modern bride in charge of her choices and keen to make a personal mark.